Invites parents to celebrate their child's first milestones with Dora the Explorer. 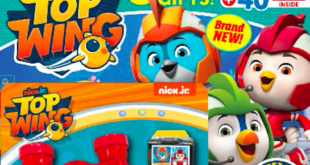 Nick Jr. is launching Step by Step – Explore with Dora, a multiplatform campaign inviting parents to celebrate their child’s first milestones with Dora the Explorer. The campaign will be pushed with a 360° integrated marketing approach spanning TV, retail, online, press, and social media. Step by Step celebrates Dora the Explorer’s aspirational qualities and strong educational values, which she communicates to children through her own everyday life. “Dora is recognised world-wide as an educational role model for young children and the perfect guide for parents to help their little ones through early childhood," said Ben Richardson, Nickelodeon’s general manager, AUNZ. "At Nick Jr. our philosophy is the ‘smart place to play’ and we always want to ensure that we are supporting pre-school curriculum and teaching our young audience something new. "Not only will our ‘Step by Step – Explore with Dora’ campaign identify key learning and development phases for pre- schoolers, it will also help them through every new ‘step’ in their life, be it learning to swim or their first day at school. “We have developed the campaign to have multiple touch-points for parents and kids, so they can connect with Dora every step of the way. Each touch-point will be supported by tools and resources which will provide helpful information and insights to guide them through their journey together." Research conducted by Nickelodeon shows that 82 per cent of mums think Dora is a good role model for their children and 91 per cent recognise Dora’s products as educational. Kicking off in February, Nick Jr. will feature a Step by Step – Explore with Dora themed programming block, with episodes running daily from Saturday, February 1st through to Sunday, February 23rd, 6:40am to 7:35am. From February 6th, Target will support the campaign with a range of Dora branded products, all featuring a Dora Step by Step book filled with lots of activities and good advice for parents. 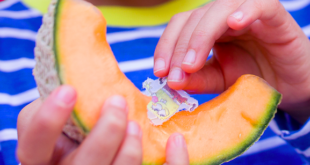 “As well as connecting with Dora on-air, we have developed a strong retail campaign, which will include DVDs, books, toys and apparel," said Claire O’Connor, Nickelodeon’s director of consumer products, AUNZ. A dedicated Step by Step – Explore with Dora’ micro-site will feature downloadable content with advice and information on the stages through early development and the Nick Jr. Parents blog will feature interesting facts from pre-school experts.